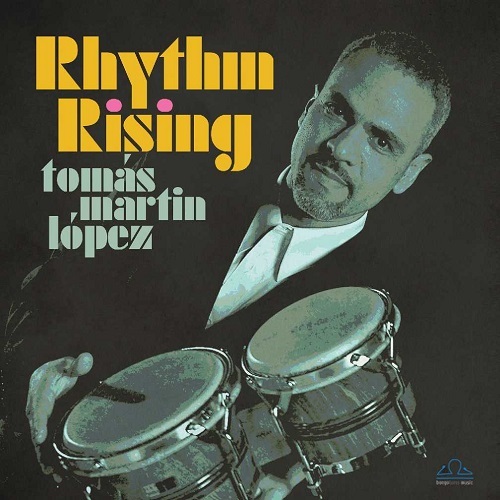 New York based percussionist Tomás Martin López started his musical career with salsa bands in his local area. He additionally performed with jazz greats such as Billy Cobham, Bill O’Connell, Mark Egan, the West Point Jazz Knights, Louie Ramirez, Ray De La Paz, Lalo Rodriguez and many more. His solo projects are On The Beat Path (2010) and Rhythm Rising (2018). The new album was recorded by Bill O’Connell (piano), David Mann (saxes & flute), Jeff Ciampa (guitar & synth), Richie Barshay (drums), Ruben Rodriguez (bass), and Tomás Martin López (congas & percussion). The album starts with the title song. As expected with an album by a percussionist, the song is full of various rhythm elements of Latin American provenance. Phenomenal star interpret is however Bill O’Connell on piano, who deserves his distinctive jazz style, which he has rightly earned in decades of collaboration with everything that has a name in Latin jazz.